Metro Exodus is ranked in the 90th percentile of games scored on OpenCritic. The fact that Metro Exodus also works for me as a newcomer to the Metro series and that I can now comprehend the often quoted strengths of the shooter cannot be denied. The balance between survival-, shooter- and stealth-gameplay, exploring the extensive areas and returning to narrow dungeons and tunnels, which are garnished with horror elements, is well done. I also liked the wonderfully refreshing reduction to the bare essentials in terms of HUD, markers and other ballast very much and intensified the immersion immensely. In the end, Metro Exodus entertained me well for about 20 hours, but didn't completely convince me. Nevertheless, the experience is worth a recommendation to me and Metro fans will probably take it anyway, although 4A Games has not only remained true to its strengths, but also to its weaknesses. If Exodus is the future of the series then sign me up for more. 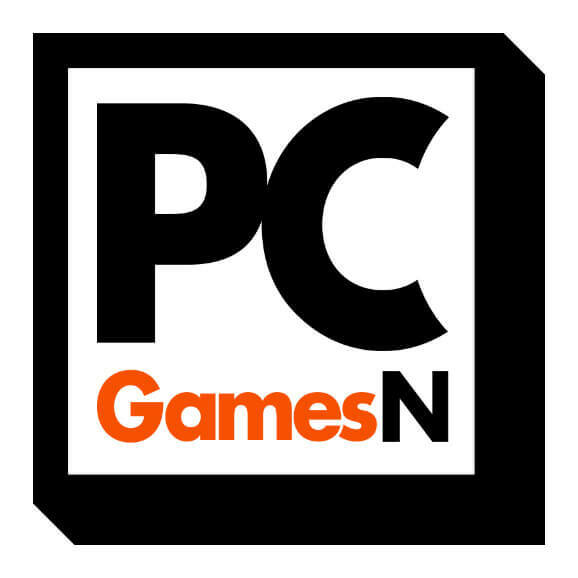 If it's the future of single player games, then sign me up doubly-so since there's not a single scrap of online, micro-transaction, or live service bs in here. 4A have really done me proud with this one. Perhaps I'm easily pleased or I can ignore certain things - not many bugs came up and one graphical glitch happened on the Volga level which has since vanished after a patch. Apart from that, the game is fantastic, and I'm having a blast playing on the harder difficulty now to push myself and my skills even further. 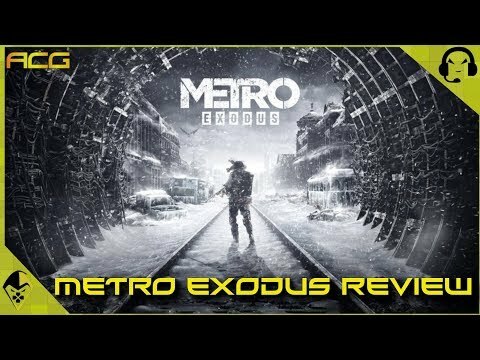 I love Metro's world, the design, the aesthetic, and the whole package in general - Exodus takes everything I love about it and amps it up to the next level for me. Metro Exodus is quite simply astounding and it's good to see it escaping the underground and, hopefully, it'll get the recognition it deserves now that it's out in the open for all to see. 4A has taken so much of what worked well from the previous games and improved upon them. Where possible it also switches up so many established concepts on their head, meaning you're never completely safe. This leads to some memorable, intense experiences with plenty of leeway to play the game your way. Metro Exodus is one of the best survival games I've played in a long time. Metro Exodus builds on the gameplay of the previous titles and expands it into a much broader world, adding new mechanics and expanding the narrative without padding things too much. Saying that Metro Exodus is the best game in the Metro series is no exaggeration. 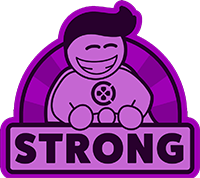 The vast improvements are remarkable and deliver a fantastic game, even now when shooting games are only recognized by the online factor. Enhanced narrative, charismatic characters, excellent gameplay and flawless visuals make Metro Exodus one of the best shooting games of the generation. Exodus brings a pleasant nostalgia and is mandatory for fans of the franchise as well as worshippers of the genre. Quite simply, Metro Exodus is the perfect way to round off this trilogy, and a testament to the powerful evolution that a gaming franchise can make. The open world offers a whole new perspective from which to enjoy Artom's tale. Whilst there are some niggly issues with AI, and maybe an overuse of bespoke animations, the fact remains that it is hard to think of a better example of how to design a single-player survival adventure. Visually stunning and packed with audio detail, this is something that should be experienced by any PC gamer. Metro Exodus shows impressively how to set the scene for a Singleplayer Shooter Game and how important a good atmosphere can be. If you can live with small technical hiccups you'll get a gripping adventure with lots of playful freedom and probably already one of the best shooter games of the year. Metro on the surface ... is that still metro? Of course, after all, it is called Metro Exodus (lt excerpt). I have not played such a good story shooter for a long time. In the previous parts you were only allowed to surface for a short time, but in Exodus we leave the ground and explore the irradiated surface of Russia. Of course, Russia is not yet cleared of radiation, but here and there it is less strong, which makes the area no less dangerous. Bandits, mutants, demons ... evil has many names and forms. But what makes Metro so special? On the one hand, the story, which has taken me quite a bit towards the end, the survival aspect, that one must always keep an eye on filters, medicine packs and ammunition, some thrills in the shafts of the Metro, the darkness, a little bit of horror, not too much, just right. This mix makes Metro really special. And what you must not forget, karma. The game remembers whether we are peacefully coping with the game, or riveting everything that comes our way, and this also has an effect on the end, which in turn increases the counter-value. I went quite neutral to Metro Exodus and I'm really excited! 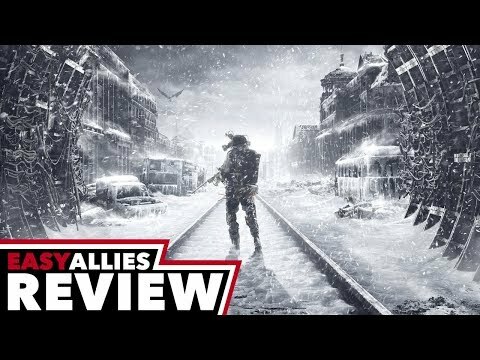 A voice to go with Artyom’s soul would have been nice, as well as some AI tweaking, but the thoughtful additions and improvements from previous Metro games gives Exodus a fresh experience for anyone ready for a wild train ride. There are few complaints that can be attributed to Metro Exodus. It is not a perfect game, nor does it come to revolutionize a genre, nor does it pretend it. Metro Exodus took the series to the next level, it was a gamble to take the players out of the metro, but the game succeeded in that without compromising the identity of the series, while adding a lot of depth to the gameplay. Metro Exodus, 4A's new first-person shooter, is almost a perfect game, introducing exciting new elements while still offering the classic Metro experience. 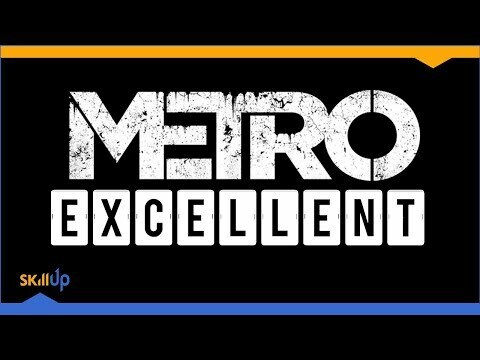 A fantastic addition to the Metro series that manages to be more accessible to new users, while still remaining challenging for fans. After the confined spaces of Metro 2033 and Metro: Last Light, Metro Exodus feels far more expansive, but never strays too far from what makes the series unique. The conclusion to Artyom's journey has the best gameplay and most compelling story of the series, on top of incredible visual and audio presentation. It retains the series' simplistic stealth system and falters with control, writing and dialogue issues, but even so, Metro Exodus is an odyssey worth undertaking. Metro Exodus represents an evolution for the series and yet remains faithful to its roots and tells another great story to remember. Metro Exodus is ambitious, engrossing and at times genuinely disturbing. Above all it tells a fantastic tale set in a world that all the game's superb aspects work hard to immerse the player in. While ‘the post-apocalyptic Russia' may not sound like an appealing destination, Metro Exodus is well worth the trip. The devastation of post-apocalyptic Moscow in the grips of nuclear winter is even more breathtaking. Metro Exodus stands out as best in the series in terms of its atmosphere, much-improved gameplay and absolutely gorgeous visuals, from the snow particles to the water glistening in the distance, this is seen whether you are playing on PC, PS4 or Xbox One the graphical power of the game is amazing. Boasting solid gameplay and one of the most compelling stories I've played in recent times, Metro Exodus' shift to the striking Russian landscape is not only a worthy successor to the previous entries, but one of the best shooters on the PS4 today. Powerful atmosphere, interesting locations, non-linearity and beautiful graphics should please fans of Metro and genre in gereral. If you are afraid of bugs, it is better to postpone the purchase and wait for patches. If not, you can safely run to the store. The game will not disappoint you. Metro Exodus is a memorable trip that is equal parts atmospheric first-person shooter and gritty survival horror drama set in a post-apocalyptic world. While suffering from some technical issues, the game itself is extremely well made from the way narration of the story happens to how combat encounters play out. Metro Exodus is an absolutely solid, all-around experience. Although the change from indoor to outdoor scenery is striking at first, it allows the gameplay to breathe and feel different from previous titles. The signature makeshift guns are paired well with the new crafting ability, and their lack of stopping power makes firefights meaningful and stealth sections tense. There are still issues here and there, and the presentation could be tighter, but this is a worthy sequel to a game that has earned its cult status throughout the years. As the game progresses further many of Metro Exodus’s problems begin to alleviate themselves as the experience becomes more defined. This allows for the game’s unique blend of gameplay and narrative storytelling in a horrific environment to shine through. While most titles in the horror genre focus on jump scares and other classic tropes, Metro Exodus allows the environment of post-apocalyptic Russia to do all the work. Players who take the time to experience what this new entry into the Metro series has to offer will no doubt witness one of the greatest narrative survival horror experiences present within a video game. It’s dark, it’s punishing and it has an atmosphere that brings its dead world to life. While Metro Exodus has problems in the gameplay and technical department, it still offers a wonderful alternative to games that are a little bit more safe. Metro Exodus' excellent storytelling, art design and atmosphere make it the most engrossing entry in the trilogy. However, clunky, inconsistent design, poor AI and open-world hub areas which are severely underutilized prevent this ambitious project from fulfilling its full potential. In my heart, I have strong feelings for Exodus, but I’ll forever be haunted by how outstanding a few more layers of polish could’ve made it. Metro Exodus hits its stride when it's doing what it knows best and that's combat in confined spaces. If you loved both 2033 and Last Light then you’ve likely boarded the hype train already and won’t be disappointed. Many will appreciate the continuation of Artyom’s story and 4A’s shift towards a freer, more immersive experience though Metro is still a couple of pegs below that top tier of first-person shooters. It feels rough around the edges and is let down by occasional bugs, sloppy AI, and a flimsy stealth system. That said, innovations elsewhere make some of these shortfalls easier to overlook. If you are a die-hard fan of the series or genre, then it might be worth it. General gamers might enjoy the jump scares and various features of the game. While Metro: Exodus delivers on its promise of deep and meaningful combat situations that let you approach encounters from any angle you can think of, its technical shortcomings are simply unforgivable. Combine that with a plot that doesn't answer its most intriguing questions and you've got an experience that will please at times, but will also disappoint those looking for something meaningful outside of the distribution of bullets. Metro Exodus has the potential to be a solid game, but it just isn't there in its current state. Those on the fence best wait for a few patches before picking this one up. Ultimately I simply didn’t get what I wanted - or expected - from Metro Exodus.